Updates to Cathie's profile since your last visit are highlighted in yellow. Realtor- Luxury Properties, Golf course & Lake front- Berkshire Hathaway HomeServices-Westlake Village, Ca. Attended El Camino, Golden West College, Century 21/ Coldwell Banker University, Career Education Systems, St. Louis, Mo. Broker/Sales Associate Realtors. California Department of Realestate/National Association of Reators. After High School worked for Union Oil Co. In LA as a secretary. Joined Continenal Airlines as a Stewardess in 1967-1984 for 16 years flying International flights, flew MAC flights to Vietnam/Southeast Asia/Pacific Islands, New Zealand/Australia. Was married to Lt. Col. Peter Wyrick 1973-1983. Owner/Operator of Mail Boxes Etc. 1983-1986 in Main Place/Fashion Square. Started Real Estate Career in 1986 in Newport Beach w/Daleabout Associates Realtors until 1990. Married Jim Post in 1989 and moved to St. Louis, Mo. In 1990 w/McDonald Douglas until 1993, Broker/Sales Associate with Coldwell Banker Realty, Tucson,Az. 1993-1995. Moved to So.Cal. in 1995 to Studio City. 1997 to Lake Sherwood/Thousand Oaks,Ca. w/Litton Industries. Sales Associate/Realtor w/Young Realtors,Westlake Village 1997-2001, Realtor, Berkshire Hathaway Homeservices 2001-Present. Avid Golfer, Skiing, Gourmet Cooking, Birding, Persian Cats, Politics, physical activity, Traveling the world. No Children! Always wanted to be a Stewardess! Dreams came true in 1967. Always wanted to be happy and successful. Always wanted to travel the world, which I have done many times! Always treat people with respect and dignity! Always be greatful and thank God for your blessings! Cathie Wilson Post added a comment on her Profile. 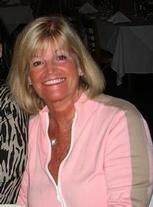 Cathie Wilson Post updated her profile. View. Cathie Wilson Post has a birthday today. New comment added. Cathie Wilson Post added a comment on Nancy Foster Mortimer's Profile. Here sending you Happy Birthday WISHES! Enjoy your special day! Great seeing you at our 50th reunion, you looked terrific! Enjoy! Here's sending you Happy Birthday WISHES! Enjoy your special day! Great seeing you at our 50th. You looked Marvelous! Happy Day! Here's sending you Happy Birthday WISHES! Enjoy your special day. Missed seeing you at our 50th. Everyone had a terrific time. Have a great one! Cathie Wilson Post posted a message on Rodney Clarke's Profile. Here's sending you Happy Birthday WISHES! Enjoy your special day. Missed seeing you at our 50th HS reunion, everyone had a blast. Look at the photos on the site. Enjoy your day! Cathie Wilson Post posted a message on Ronald Yates' Profile. Ron. Here's wishing you Happy Birthday WISHES! Enjoy your special day. I remember you in HS, you were always a special guy to all of us. Missed seeing you at out 50th, everyone had a terrific time. See the photos on the site! Sounds like your life is great and very successful!